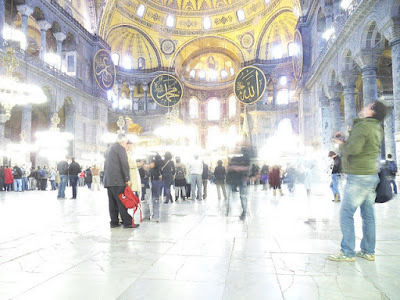 Hagia Sophia in Istanbul, which was earlier a Patriarchal Orthodox Cathedral and later a mosque, and now a museum, may once again become an active mosque, the Sabah newspaper reports. Repairs are underway. A mimbar - a platform for the imam -- is planned to be built in the museum. Earlier, Turkish Deputy Prime Minister Bulent Arinc said during a visit to the museum that fundamental changes should be made in Hagia Sophia. Hagia Sophia was built in Constantinople, now Istanbul, in 537. After Mehmet II conquered the city in 1453, the church turned into a mosque.